in EUR, GBP, GBP to EUR. While the Euro (EUR) has seen a boost in demand since Eurozone services and retail data beat expectations yesterday, the Pound Sterling to Euro (GBP/EUR) exchange rate still firmed at the end of the day amid the latest Brexit hopes. Since opening this week at the level of 1.1625, GBP/EUR has spent most of the week climbing. While GBP/EUR has been unable to hold yesterday’s weekly high of 1.1755, the pair currently trends near the level of 1.1790 and has regained last week’s losses. Demand for the Pound (GBP) has been solid, despite lingering uncertainties regarding how the Brexit process will unfold with just over one week until the UK is set to leave the EU. This is because yesterday’s Brexit developments, while vague, were enough to bolster hopes that a no-deal Brexit would be avoided and that a general election would not happen. A no-deal Brexit and a general election are currently among two of the biggest downside risks for the Pound. The EU’s current formal Brexit date is set for next Friday, the 12th of April. The EU has indicated that it is unlikely to offer Britain another short delay unless Parliament is able to agree to a solution to Brexit. Despite this significant short-term uncertainty though, the Pound to Euro (GBP/EUR) exchange rate is trending just half a cent below its best levels in over a year. While uncertainties remain, yesterday’s Brexit developments bolstered speculation that the process could still end with a softer Brexit. 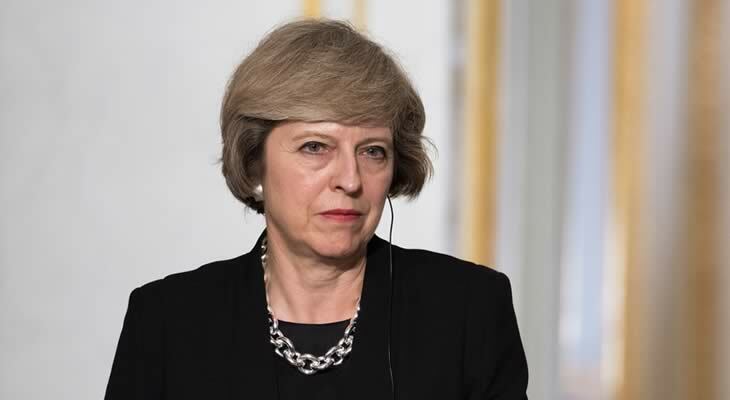 Prime Minister Theresa May held talks with opposition Leader Jeremy Corbyn, on the possibility of reaching a compromise on her Brexit plan. The talks were noted as ‘constructive’. On top of this, Parliament voted in favour of passing a bill to prevent a no-deal Brexit – by just one vote. This bill will go to the House of Lords and has the potential to become law if it succeeds, so for now it has boosted hopes that a no-deal Brexit will be avoided. As a result of yesterday’s Brexit speculation, Sterling has firmed. Demand for the Euro was poor at the beginning of the week, as Eurozone data continued to indicate that the bloc’s factory sector was still impacted by slowing global growth and trade fears. As the Eurozone’s manufacturing data did little to reassure markets about the Eurozone’s economic health, investors were more relieved yesterday when Eurozone services PMI data and retail sales data both beat forecasts. Markit’s services PMIs for the Eurozone rebounded more strongly than expected last month, and the bloc’s retail sales activity performed twice as strongly as expected in February. Still, while the prints beat expectations, analysts remained anxious about the Eurozone’s weaker outlook and this services PMI was not enough to offset concerns about the bloc’s manufacturing sector. On top of that, this morning’s German factory orders results were highly disappointing and perpetuated jitters about the manufacturing outlook. There is just over a week now until the UK is set to formally leave the EU – next Friday on the 12th of April. Unless Britain agrees to a Brexit solution or a reason for a longer extension, a no-deal Brexit scenario will become reality. As a result, investors are highly focused on the possibility that Prime Minister Theresa May could pass a softer version of her Brexit deal, or that a bill to prevent a no-deal Brexit could be passed into law. Any developments in talks between Prime Minister May and opposition Leader Corbyn have the potential to drive the Pound higher if they point towards a softer Brexit. A lack of progress in talks would worsen the perceived chance of a no-deal Brexit or a general election however. While the Pound reacts to Brexit developments, Euro investors are awaiting tomorrow’s German industrial production stats to round out the week. As the Eurozone’s manufacturing sector has shown continued weakness, the data is unlikely to offer the Euro much support. As a result, the Pound to Euro (GBP/EUR) exchange rate could end the week higher unless Brexit fears worsen.